Looking for a disturbing horror to enjoy? 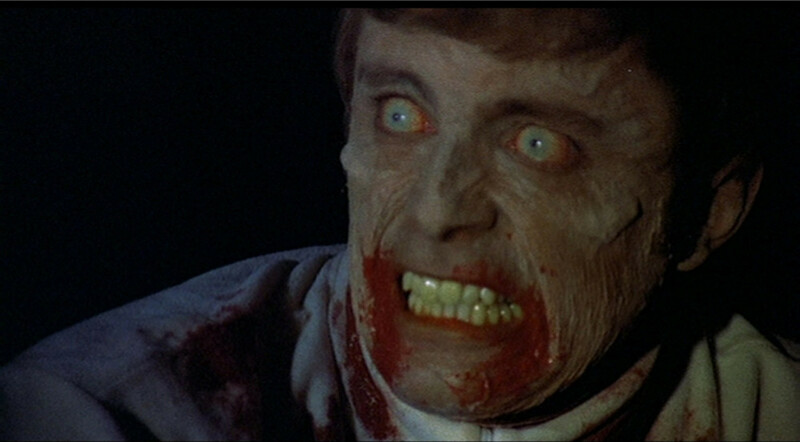 This past week I checked out the 1972 Canadian horror film Deathdream, also known as Dead of Night. It was produced and directed by Bob Clark. You may be familiar with some of his films, including Children Shouldn’t Play With Dead Things, Black Christmas or the must watch holiday comedy A Christmas Story. The film begins in Vietnam where a US soldier, Andy Brooks is shot by a sniper. As he begins to die, he hears his mother’s voice, “Andy, you’ll come back. You’ve got to! You promised!” The film then cuts to a wife, husband and daughter having roast beef dinner. The mother is talking about her son Andy and different scenarios where he returns home. The father and sister seem a bit uncomfortable since it’s been months since anyone has received a letter from him. Right in the middle of their mother’s jabbering there’s an intense knock at the door and that’s when the family receives the horrible news that Andy will not be returning home. As the viewer, we are then told that the soldier from the opening is Andy. Duh. Andy’s father, Charles and sister, Cathy instantly begin to weep but his mother, Christine refuses to believe that her Andy is dead. Christine runs to Andy’s room so she can sit in the dark, in his rocking chair and talk to herself. Later that night, the family hears a noise downstairs and being that it wouldn’t be horror if they didn’t explore, they do just that! They see a figure standing at their door and holy moly, it’s Andy! Andy is in full uniform, completely unharmed smiling like a complete creeper. The family welcomes him back with pure love and open arms and just figures that there was a clerical error regarding the news they received. Over the next couple of days, Andy is acting very strange but no one really seems to notice except for his father, Charles. Andy is dressing in turtlenecks, sunglasses and gloves, basically concealing himself. He spends most of his time sitting in his room staring at the wall in his rocking chair. Andy’s family’s happiness seem to be fading. His father is trying to connect with his son again but Andy is disconnected. His mother is oblivious and believes everything is just fine, although she notices Andy’s erratic behavior. His sister, Cathy is happy yet unaware of her brother’s weird behavior because more concerned with her parents bickering. While all that is happening, the police are investigating the murder of a local truck driver who was found with his throat slashed and his blood drained. An hour or so before the truck driver was murdered he told workers in a diner that he picked up a hitchhiking soldier. Yikes! From then on, things spiral out of control for Andy, his family and the whole town. Overall, I really enjoyed Deathdream, which was a surprise! It teaches us a great lesson on the saying “be careful what you wish for.” It is morbid, shocking and also somewhat sad. 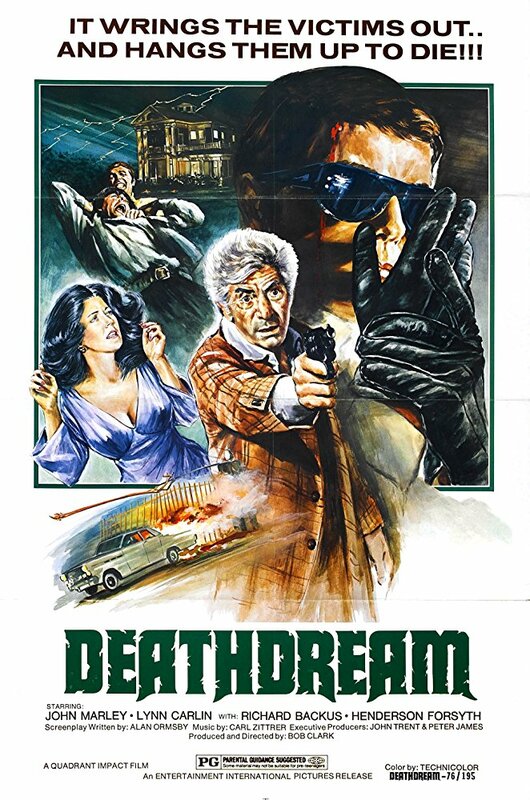 I highly recommend Deathdream, it’s definitely an overlooked gem that will appeal to horror fans from all different walks of life. You can thank me later! Still not sure if you want to check out DEATHDREAM? 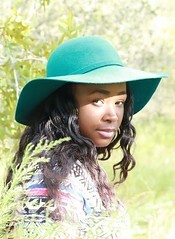 Check out the trailer!